Jordan Brand will celebrate the 2013 All-Star Weekend by releasing their “2013 All-Star Collection” before the yearly festivities. 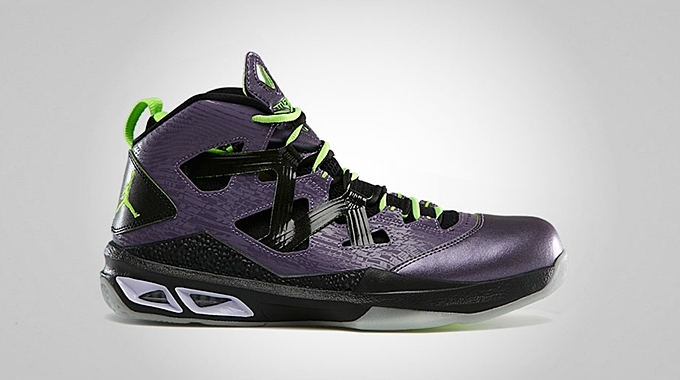 Included in the much-awaited collection is the newest edition of the Carmelo Anthony’s eighth Jordan Brand signature shoe called Jordan Melo M9 “All-Star”. This brand new silhouette, which is officially labeled as the Canyon Purple/Electric Green – Black – Pure Violet of the kick, will hit the market on February 14 worldwide. Make sure to check this out on Thursday and grab your own pair for just $125 per pair.